Featuring the preaching ministry of Dr. Ritch Boerckel, "Knowing Christ Radio" is a weekly 25:00 broadcast, serving as an outreach of Bethany Baptist Church near Peoria, Illinois. 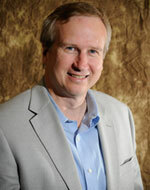 Pastor Ritch has served as Senior Pastor at Bethany since 1993. He has a degree in Pastoral Training from Moody Bible Institute, a degree in Bible Exposition from Dallas Theological Seminary and a Doctorate from Covenant Seminary. Pastor Ritch is known for his clear and practical expository preaching. During his time at Bethany God has blessed with two church plants and a growth from 300 at one location to over 2,000 in the three churches that are part of the Bethany Fellowship of Churches. After submitting your info above, you will immediately be prompted to download the radio program for Dr. Ritch Boerckel. After the file has downloaded to your computer, you will need to Un-Zip the folder to view the MP3 file.